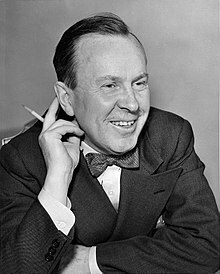 Lester Bowles "Mike" Pearson, PC, OM, CC, OBE (April 23, 1897 – December 27, 1972) was the 14th Prime Minister of Canada from 1963 to 1968. He won the Nobel Peace Prize in 1957 for organizing the first peacekeeping force. As Prime Minister, Pearson's government created universal health care and the Canada Pension Plan. He also changed the flag of Canada. Pearson was born in Newtonbrook, Ontario, the son of Edwin Arthur Pearson, a Methodist minister and Anne Sarah Bowles. He went to the University of Toronto and Oxford University. Pearson was ambassador to the United States and the United Nations. He played for the Oxford University Ice Hockey Club while on a scholarship at Oxford University. Pearson entered politics in 1948, as Minister of External Affairs in the Liberal government of Louis St. Laurent. He became leader of the Liberal Party in 1958. He lost two elections as leader, until winning a third to become Prime Minister in 1963. His government brought in social programs and new standards for workers. Pearson signed the Canada-United States Automotive Agreement, also called the Auto Pact. He retired in 1968. The next Prime Minister was Pierre Trudeau. Pearson died from liver cancer in Ottawa, Canada, aged 75. This page was last changed on 21 June 2018, at 06:34.